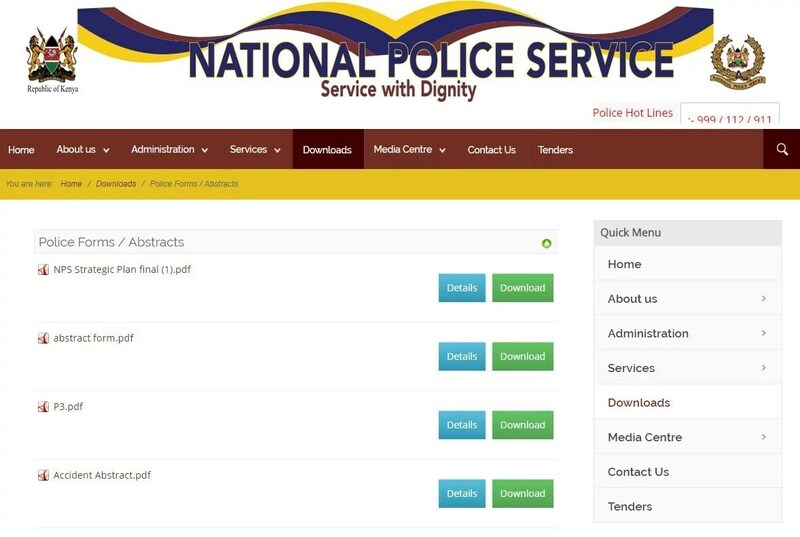 The Kenya Police has made it easy to access its abstract forms online and for free. Now you don’t have to go all the way to the police station to get an abstract form, just print one online and then take it to the police station to report your incident or accident. Usually you will not find blank abstract forms at the station when you go to report your incident. The form will download on your computer where you can print from. If you need to query the police, the following Kenya Police feedback e-mail addresses are also active and may be used by all, if required.